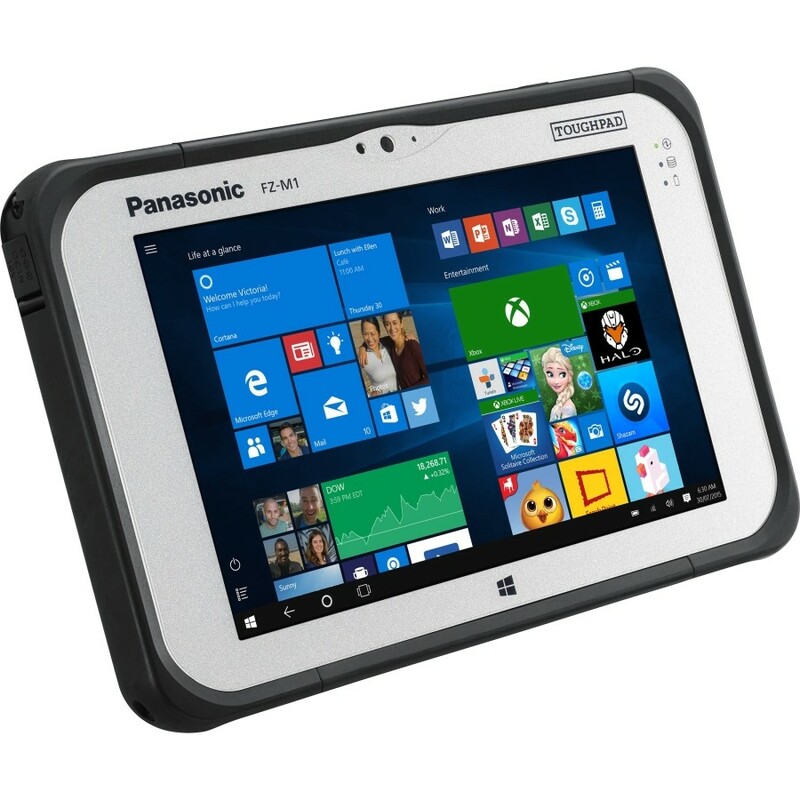 The Panasonic FZ-M1 is the fully rugged Windows® tablet, built to enable mission-critical mobile worker productivity without compromise. Powered by Windows® 10 Pro, the FZ-M1 features a long life, user-replaceable battery and a daylight-readable, high-sensitivity multi-touch display for use with heavy gloves. With the broadest range of configuration options available in its class, the highly customizable FZ-M1 is the ideal tool for today’s mobile workforce. In addition to the highly configurable options, added models of Thermal Camera, Real Sense Camera, RTK/GPS, as well as several more. Allows the FZ-M1 to be the most comprehensive 7" tablet in the market. 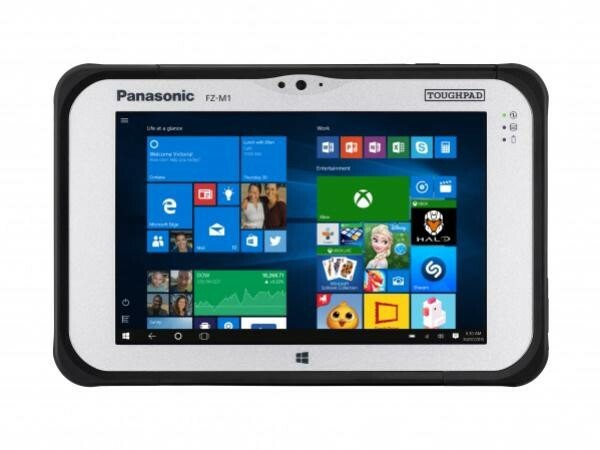 The Panasonic Toughpad FZ-M1 is the worlds thinnest and lightest fully-rugged 7" Windows tablet, built to enable mission-critical mobile worker productivity without compromise. 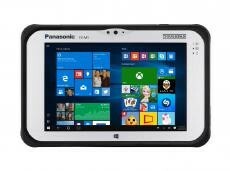 Powered by Windows 10 Pro and a 6th generation Intel Core m5 vPro processor, the Toughpad FZ-M1 features a long life, user-replaceable battery and a daylight-readable, high-sensitivity multi touchscreen for use with heavy gloves. 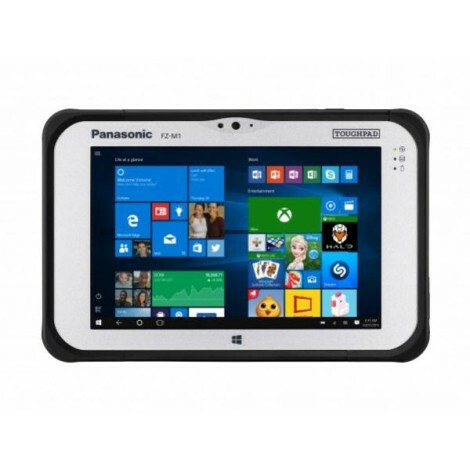 With the broadest range of configuration options available in its class, the highly customizable Toughpad FZ-M1 is the ideal tool for todays mobile workforce. Logistics: Calculate box dimensions from a distance. Optimise van loading and storage. Retail: Measure item width, depth and height from a distance to streamline picking, packing and stocking. Automotive: Measure car shape and analyse accident damages, including impact speed assessment. Utilities: Measure and compare pipeline conditions and degradation. Efficiently assess cracks and gaps from a safe distance. Manufacturing: Optimise storage. Track pipe degradation, while comparing to planning conditions. Healthcare: accurately measure wound size and time-monitor the healing process without making contact with the area. ⚫Logistics: Calculate box dimensions from a distance. Optimise van loading and storage. ⚫Retail: Measure item width, depth and height from a distance to streamline picking, packing and stocking. ⚫Automotive: Measure car shape and analyse accident damages, including impact speed assessment. ⚫Utilities: Measure and compare pipeline conditions and degradation. Efficiently assess cracks and gaps from a safe distance. ⚫Manufacturing: Optimise storage. Track pipe degradation, while comparing to planning conditions. ⚫Healthcare: accurately measure wound size and time-monitor the healing process without making contact with the area.